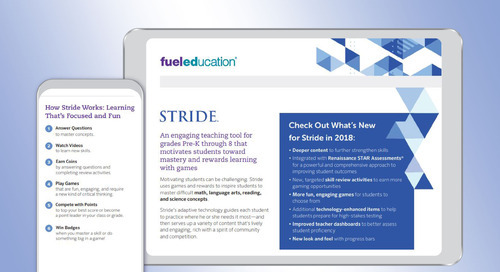 Herndon, Virginia, March 15, 2018 — This summer, Fuel Education® (FuelEd®) is incorporating major enhancements to Stride™, its award-winning supplemental learning solution for standards-aligned skills practice for students in PreK–8 grade. 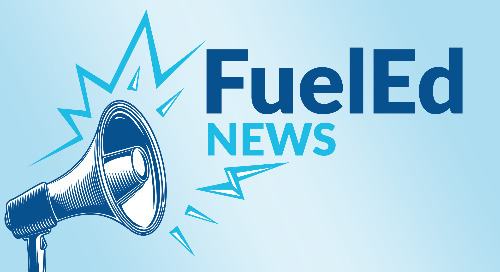 FuelEd has developed and is adding deeper learning resources to its content areas, including more direct instructional activities, new targeted skill review activities, and more game options, making Stride an even more powerful asset for schools and districts. 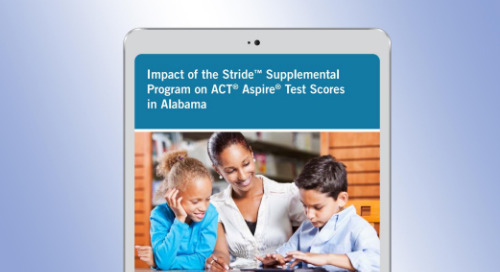 Stride includes an adaptive question engine to personalize the student experience for improved academic gains. Based on feedback from schools and students, FuelEd is further driving student engagement in Stride by incorporating new features to better ensure students interact with the learning resources and that they are rewarded using highly-effective positive reinforcement tactics. 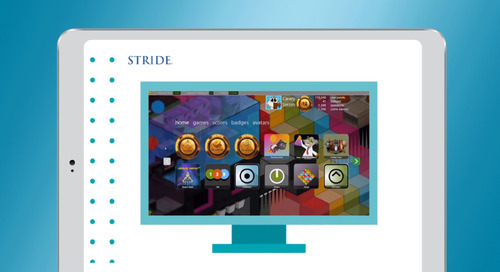 Stride motivates students toward skill mastery by rewarding students along their journey with “coins” they can redeem for gaming time as well as other digital rewards such as academic badges, avatars, and leaderboards. In Stride, students begin practicing skills by answering questions and earning coins for gaming time. With the enhanced skill review activities, if a student is not answering the questions correctly, the student is offered a choice between several different activities to help them review or relearn the skill. Research shows that when students have a choice it can significantly improve motivation and academic performance. Improved progress dashboards: In addition to showing the percentage of questions students answered correctly, teacher dashboards will also show an estimate of student proficiency on specific standards. New student progress bars provide students with awareness of their performance and a transparent look into how they are progressing on specific skills. 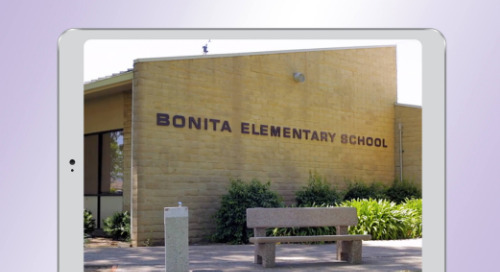 More technology-enhanced items: The skills practice in the units also includes more technology-enhanced items to prepare students for the types of questions they will encounter on high-stakes tests. More fun, engaging games: FuelEd surveyed users on what types of games they like to play and added more gaming options. Fresh look and feel: The sleek user interface and dashboards give Stride a more streamlined, modern feel. Fuel Education will host a webinar on Stride on Wednesday, March 21, 2018 at 2:30 pm ET. 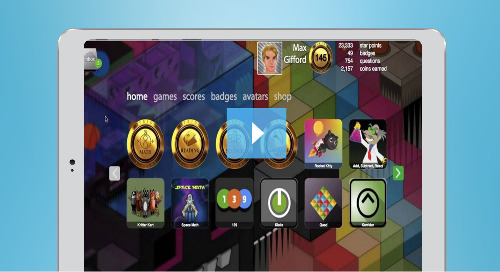 Register here: https://www.fueleducation.com/resources/events/20180/march-/stride-webinar--how-to-teach-the-gamification-generation.html. To learn more about Stride, visit fueleducation.com/stride. ©2018 Fuel Education LLC. All rights reserved. Fuel Education, FuelEd, and Stride are trademarks of Fuel Education LLC or its affiliates. All other trademarks are the property of their respective owners.